Take a look at our collection of posters about justice, created by 35 artists from across Texas. Originally presented at our I Heart Justice exhibitions, the limited-edition posters are for sale, benefitting Texas Appleseed. 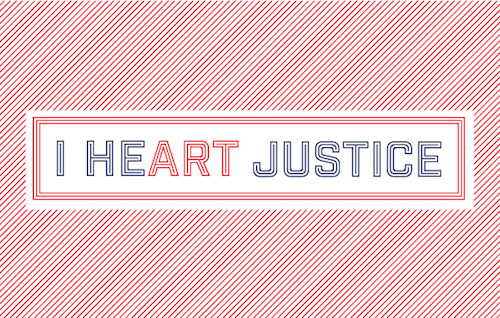 I Heart Justice was created to increase conversations about pressing justice issues facing our state. Each print is silkscreened — 24" x 36" — and costs $75. Visit www.IHeartJustice.org.